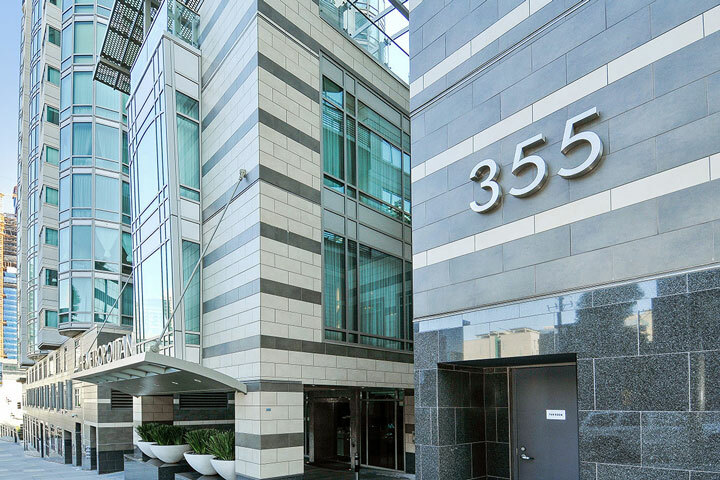 The Metropolitan condos are located 333 and 355 1st Street in the coastal town of San Francisco, California. The Metropolitan building features studio, one and two bedroom units that range in size from 506 to 1,622 square feet of living space. The building was built in 2004 with many of the units offering granite counters, white oak cabinetry and marble bathroom floors. 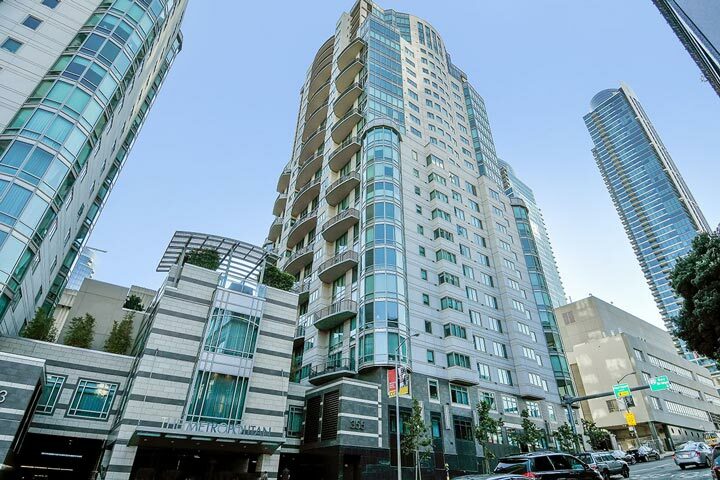 The views can be amazing from the upper level floors that include Bay & Bridge views as well as the downtown city skyline. Below are the current Metropolitan condos for sale and for lease in San Francisco. Please contact us at 888-990-7111 with questions regarding this community and any of the homes listed for sale here. The Metropolitan community offers a great location with great local amenities. Included in the homeowners association dues are a 24 hour doorman, concierge service, fitness center, indoor heated pool, whirlpool, sauna, theatre, landscaped terrace and security. It's also within walking distance to local restaurants, shopping, grocery stores and public transportation including BART & MUNI.